In today’s complicated world, international property stands out more strongly than ever among investment options because it is both a hard asset and one of the best current opportunities for generating cash flow while building real, long-term wealth. A view of downtown Panama City, Panama, and some of the country’s most sought after real estate. I recommend Panama for two things specifically— apartments for rental and agricultural opportunities. Panama City, where resale transactions have slowed, is and will continue to be a buyer’s market through 2018. I see this year as a chance to buy on a dip, because, long term, I remain bullish on the Panama City rentals market. Yields continue strong though not as strong as they were a couple of years ago, primarily because rents have softened. 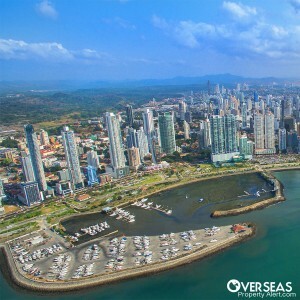 Argentine, Colombian, and Venezuelan buyers have helped to keep the Panama City market stable and growing over the last 10 years, even while other markets in this region struggled or even collapsed. Today, North Americans and Europeans continue to invest, but it’s Panama’s new relationship with China that I predict will fuel this economy through its next stage of growth. If the Chinese come in volume, as they did in Vancouver in the 1990s, Panama City property prices will soar to new levels. The second big opportunity for making money from real estate in Panama in 2018 is through productive land. This country’s interior is a fertile bread basket. Individual investors can participate in organic plantations for turnkey agro-profits. Brazil has many things going for it, one of which is the abundance of affordable beachfront property. Brazil is a big country of many different property markets, some more interesting than others. I recommend focusing on the Fortaleza area. 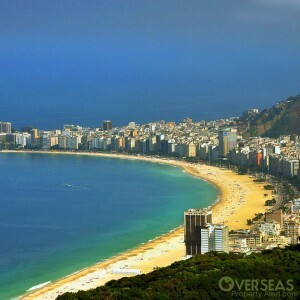 This coastal region is a top destination among Brazilian tourists. Rentals targeting the local holiday market can earn better than 8% net yield reliably. I also recommend an investment in beachfront along this coast, where lot prices are a global bargain. The Brazilian real remains stable against the U.S. dollar (at around 3.30 reals to US$1, as of this writing) and historically weak relative to the rate of 1.6 reals to the dollar of a decade ago. Good yields and a weak currency make this country a strong buy for 2018. 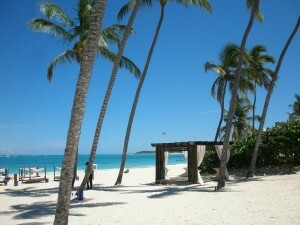 The Dominican Republic is one of the Caribbean’s top property markets. In the Dominican Republic, I recommend focusing on the capital, Santo Domingo. The Dominican Republic is enjoying continued strong growth, as well as increasing foreign direct investment. All those business travelers coming to get in on the country’s economic boom pass through Santo Domingo… and they all need places to sleep. Meantime, tourism figures continue to impress, as well; this country saw more than 6.5 million tourists in 2017, up from 5.9 million in 2016. A furnished rental for either of these markets—the business traveler or the holiday-goer—can be an excellent source of cash flow and, if you buy right, should enjoy good capital appreciation. One of the best opportunities, specifically, is to invest pre-construction in an apartment intended for the business traveler market. Businesspeople staying longer than a week prefer an apartment to a hotel. Note that it can be possible to qualify for financing as a non-resident. 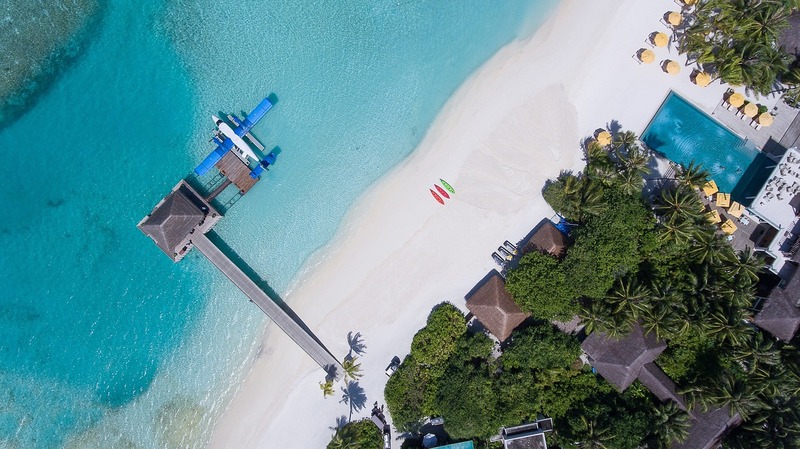 I don’t recommend financing property overseas, however, unless you are sure you can cover the mortgage payment even without any income from the financed property. That said, Santo Domingo city apartments rent well, and you should have no problem covering your mortgage payment from your rental income. Thailand’s real estate markets are attracting buyers from across the globe and it’s easy to see why. I like Thailand for agriculture primarily but think this country deserves attention for its strong economy and expanding tourism industry, as well. 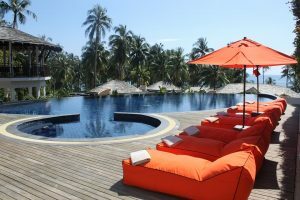 The downside in Thailand is that restrictions are placed on how foreigners can own property. Foreigners are only able to own land leasehold. A foreigner can hold freehold title to the construction on the land, but, unless your house is portable, you might not take comfort from that. Foreigners are also permitted to own condos freehold as long as they don’t own more than 49% of the total area of the condo building. For this reason, the condo market is where most foreign investors focus their attention. A condo is also cheaper and easier to manage as a rental than an individual property. Bangkok was the number-one visited city in the world in 2017, according to one survey. This city last year received more visitors than London or Paris. Again, that’s worth the would-be property investor’s attention. Portugal is the world’s best place to retire, but it’s also one of the best places to buy real estate. Property markets in Portugal have been on the move since 2015. Some neighborhoods in Lisbon, for example, are now priced beyond what I believe makes sense for a property investment. Other areas of this city, however, continue to offer good value and opportunity, especially if you’re up for a renovation project. 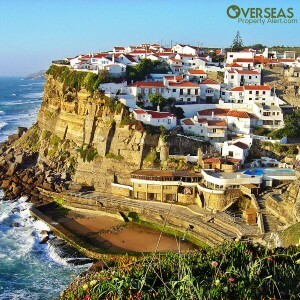 In 2018, I recommend focusing on the lesser-visited areas along the country’s Algarve coast and the Porto region north of Lisbon. Portugal is another country where it’s possible for a non-resident to get a mortgage. France is a dream destination for many and properties are more affordable than you might think. I’ve been sold on the Paris real estate market for decades and have owned in this city for about 15 years. Prices go up and down, as they do everywhere, but, for my money, a piece of Parisian real estate is one of the surest imaginable stores of wealth long term. Though it’s strength is waning as we move forward into 2018, the U.S. dollar is still creating euro bargains for American buyers. 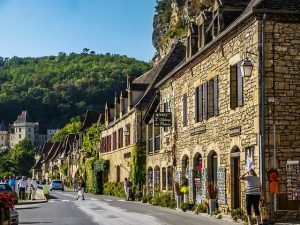 One of the most impressive features of the French property market is the fact that foreigners are eligible for property loans within the country. In fact, French mortgages for foreigners are at historic lows of less than 2% interest… with loan-to-values as high as 85%. Mexico has an abundance of emerging property markets that make great rental investments. Put concerns about the drug cartels aside. 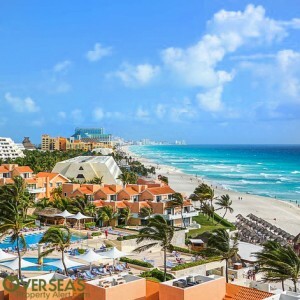 Mexico remains a top destination among Canadians and Americans for both tourism and retirement and is enjoying good growth in the local tourism market as the country’s middle class continues to expand. All that combines to make Mexico a top choice for a property rental investment. Top markets include Puerto Vallarta on the Pacific coast and Playa del Carmen on the Riviera Maya. In both of these popular tourist towns, a rental property can generate an excellent yield. Mexico offers financing options for non-residents, generally from U.S. lending institutions set up in Mexico specifically for that purpose. 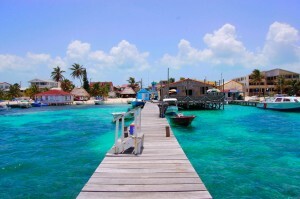 I believe the tourism and resident expat markets on Belize’s Ambergris Caye will continue to expand through 2018 and beyond, meaning this still-undervalued Caribbean island is another good choice for a rental investment. 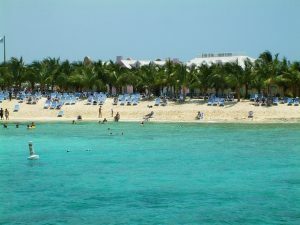 Elsewhere in Belize I’d focus on Cayo where quality rental accommodation at a reasonable price is hard to come by. If you were to build a high-quality rental, you could make a good yield by pricing your property competitively relative to the local hotels that you wouldn’t let your mother-in-law stay in. Despite previous political conflicts, Turkey’s property markets continue to grow on the back of rising tourism. The attempted coup in this country in 2016 has kept many foreign investors away since. Meantime, values in Istanbul have surged. Istanbul was the world’s 11th most visited city in the world in 2017. That was behind brand-name cities like Paris, London, New York, and Hong Kong… but ahead of other major cities, including Berlin, Barcelona, Rome, and Los Angeles. 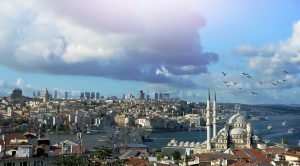 In addition to tourism growth, Istanbul and Turkey in general are enjoying strong economic growth as the population increases and the middle class expands. I see both tourism rentals and student rentals as appealing rental investment options. One of the biggest selling points for such an investment in Istanbul is the low cost of entry. A rental unit in this market can be within most any investor’s budget. A picturesque tropical setting and high-yield luxury properties make Turks and Caicos a top market. At the other end of the budget spectrum is the higher-end Turks and Caicos. Ordinarily, a high-end property does not generate the level of net rental yield that can be possible from a lesser investment. Long-term rents for a luxury-standard house in the United States, for example, don’t generally reflect the premium price of the property. A luxury purchase in the Turks and Caicos can be an exception to this rule. It can be possible in this Caribbean market to earn a net rental yield of 8% even from a high-end investment. Banks in the Turks and Caicos will lend to non-residents. At the price points of the luxury rentals in this market, you definitely want to be conservative with any mortgage you take out in case rental income slows for any reason.